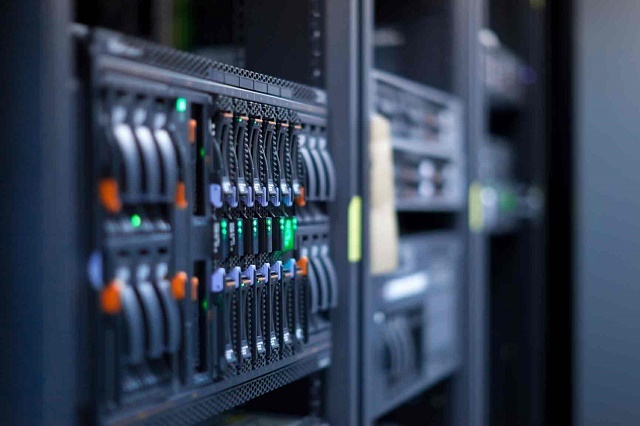 Dedicated server: do I need it for my website? Creating a new website is always a little bit tiresome. There are loads of questions to answer. For instance, you should decide how your website will look like and the way you’re going to serve your potential clients, choose an appropriate content to attract more users and, finally, think of a good hosting. Hosting or web hosting is a service provided by a vendor which offers a physical location for the storage of web pages and files. There are two main types of hosting: shared hosting and dedicated hosting. Today, we’ll try to dive into what these actually are, so you can make a decision whether your website needs a dedicated server or not. Shared hosting is the cheapest form of hosting. You pay a very reasonable amount of money for sharing resources with other web sites that are using the same hardware. When you choose this form of hosting, you often get a certain portion of the total power and speed of the server. Shared hosting is ideal for various startups and small websites. However, if you plan to grow your site and get large amounts of traffic, you must use a dedicated hosting. Otherwise, your web resource will drastically worsen the performance of the other clients who share a server with you. Dedicated hosting always costs much: the monthly fee may run up to several hundreds of dollars. However, you’ll get tons of benefits if you choose exactly this type of hosting. Firstly, your website will be provided with greater security. Dedicated hosting always gives you much more control over your web platform. This option is always favored by website owners who’re keen on technical issues. If you aren’t the one, then you need a dedicated server that is equipped with a friendly custom service. In addition, dedicated hosting also includes greater bandwidth for increased traffic and greater flexibility to make the ideal hosting environment for your website. When Do I Need to Change My Hosting? Dedicated hosting becomes a real must for those websites that receive a lot of traffic. If your business project started with a web resource on a shared hosting plan, but now you receive permanent complains on slow site performance and loading speed, it’s high time to change your hosting server. Remember, that only dedicated hosting is able to provide you with a customized, speedy and stable hosting environment. You’ll be the only one who uses the server powers, and this will make your website better protected from various online threats. If your site isn’t a big one, then there is no need to change anything. Just continue using your shared hosting plan. Choosing the right hosting plan always influences on the web performance. However, if you need to make your site really a speedy one, don’t linger to visit CDNsun website to get the entire information about website performance!